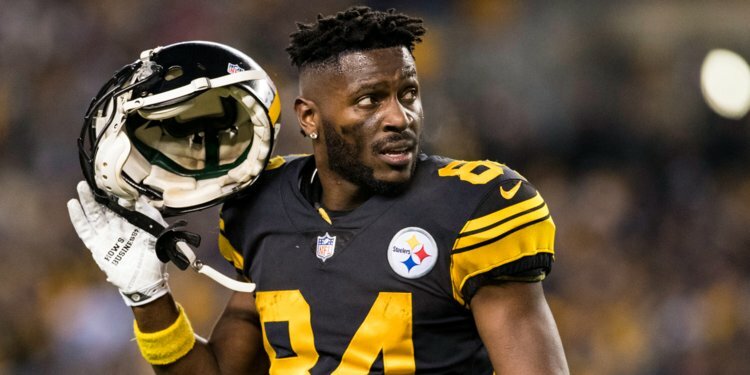 There’s a lot that’s already been said about why Pittsburgh Steelers’ disgruntled wideout Antonio Brown has been acting the way he has this season but I’m going to offer you a little bit of a different take. Some of this is speculation on my part but some comes from conversations with a couple of people a heck of lot closer to the situation than I am. To put it bluntly, if I didn’t think there was something to this information I wouldn’t be writing it. Brown will meet with Steelers President Art Rooney II reportedly this coming week. I do not believe this is a “kiss and make-up” session either. The damage is done and what I’ve written below details how we got here. Antonio Brown believes he is the best wide receiver in football. Few would disagree with this and I certainly do not. His work ethic is one thing but his overall ability to change a game is unparalleled. When Odell Beckham, Jr. jumped ahead of AB to become the highest paid receiver in the game, this didn’t sit well with Brown. On more than one occasion he approached the Steelers about re-working his contract in order to be the highest paid wideout in the NFL. When the Steelers said, “no” Brown was not happy but the issue didn’t seem to be a significant problem. Beckham’s contract pays him one million dollars more than Brown gets paid per season and while there are plenty who would suggest OBJ is just as good if not better, Brown still felt as though he should be number one. Quite often when we look back on the 2018 season and the absence of Le’Veon Bell, we think about James Conner and the running back situation in general. What many fans often forget is that Bell had a massive influence on the amount of attention Brown would get from defenders. Bell’s prowess as a pass catcher is one thing because he could affect linebackers and safeties in terms of their alignment and assignments. His presence in the backfield could also create problems for defenses because if they had to bring safeties up to stop him, that left less chance for Brown to be double-covered. But don’t forget about Bell lining up as a wide or slot receiver either. When he flexed out of the backfield, that changed the approach of the defense which often benefited Brown or in some cases JuJu Smith-Schuster. Numerous sources have told me that Brown believes without hesitation that JuJu’s big season was entirely because of him. And when the team MVP voting was announced and JuJu had won, this sent Brown over the edge. Brown felt slighted because his teammates knew that JuJu benefited from him being double and triple-teamed. There is definitely truth to this but we can’t just throw out the fact that it takes some talent to have the year JuJu had regardless of whether you’re getting single coverage or not. The success of Smith-Schuster in the 2018 season also has its roots in the above category. If you think he has the amount of catches and yards and perhaps touchdowns he had if Bell were playing you’re mistaken. Bell would have taken a significant amount of those targets/touches away from JuJu. This feeds part of Brown’s arguments as to why JuJu wasn’t the real MVP and why he (Brown) is so under-appreciated. I have a hard time believing that it was just Ben Roethlisberger’s comments on his radio show following the loss in Denver that fractured the relationship between he and Brown. I mean, Brown himself had nothing but praise for Roethlisberger while standing in front of his locker later that week and that’s what makes this much more confusing. There’s more to it than that and I think most of you know it. If we’ve learned anything about Brown in the last month then I think it’s fair to say he can be more than a little jealous; almost a tad suspicious of others if you will. That came out loud and clear during his little tweet-up earlier today…. The argument that this is all about Roethlisberger though also crumbles when you look at the number of targets he’s received from Ben. 154 in 2016, 163 in 2017 and 168 this past season. If a guy really had that big an issue with you then why did he target you so much? Look, I’m not going to tell you Roethlisberger is perfect because he’s not. I think there are several things in his career that can be second guessed. I think there are things that he would like to have back too but Brown is struggling to understand how an NFL locker room works. And I believe this goes much further than just Ben too but AB knows he’s an easy target. I honestly don’t know what is happening with Brown. His behavior over the last year has been erratic and that’s an understatement. If he’s trying to get the Steelers to trade him, that’s already going to happen. If he’s trying to get them to cut him? That is NOT happening. They’ll keep him on the roster and let him choose his own fate at that point. Either he plays or he refuses to and gives back a decent chunk of his money. 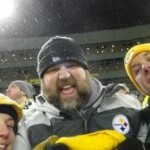 There is no doubt in my mind that the Steelers and Brown have to go their separate ways. 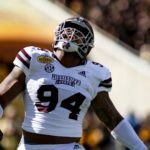 With a locker room already unstable, bringing back Brown would not be good for the team or for him. Let’s hope this divorce happens sooner rather than later.